Kieran first discovered his love for performing as a child in a local theatre production of Oliver! Growing up on the Mornington Peninsula, he would go on to perform in over 15 plays and musicals before leaving high school. In 2010 Kieran joined the cast of Mutation Theatre’s The Arrival which won the People’s Choice Award at the Melbourne Fringe Festival. In the following years he performed musical theatre roles such as Corny Collins in Hairspray, J. Pierrepont Finch in How To Succeed In Business Without Really Trying and Angel in RENT. 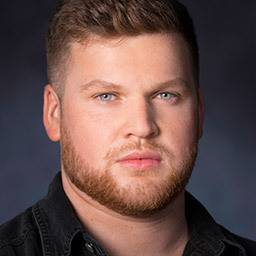 Kieran graduated from RMIT University with a Bachelor of Communications (Media) in 2012 seeking to expand his creative repertoire into film and television production. After a short stint behind the camera Kieran chose to pursue acting full-time and successfully auditioned for NIDA in 2013. Kieran is excited to be commencing his professional journey after three years of training. In his final year of study, Kieran was a semi-finalist for the 2016 Rob Guest Endowment, and hopes to pursue a career bridging his love for stage and screen acting.